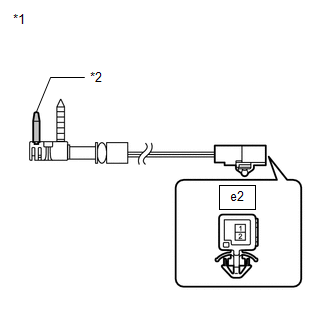 The evaporator temperature sensor is installed on the evaporator in the air conditioning unit to detect the cooled air temperature that has passed through the evaporator and to control the air conditioning. It sends appropriate signals to the A/C amplifier. 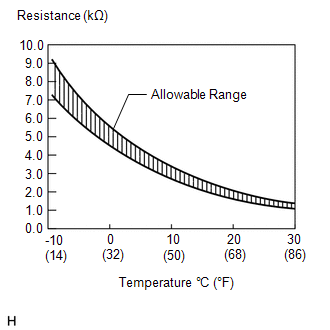 The resistance of the evaporator temperature sensor changes in accordance with the cooled air temperature that has passed through the evaporator. As the temperature decreases, the resistance increases. As the temperature increases, the resistance decreases. The A/C amplifier applies voltage (5 V) to the evaporator temperature sensor and reads voltage changes as the resistance of the evaporator temperature sensor changes. This sensor is used for frost prevention. 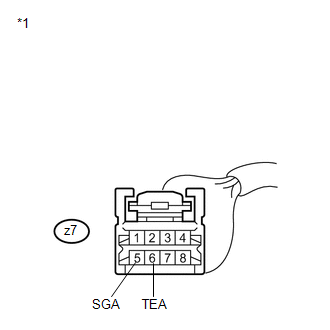 (a) Remove the evaporator temperature sensor. (b) Disconnect the evaporator temperature sensor connector. 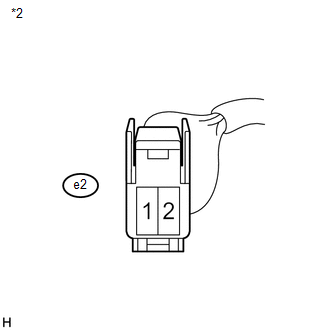 (a) Remove the air conditioning harness.